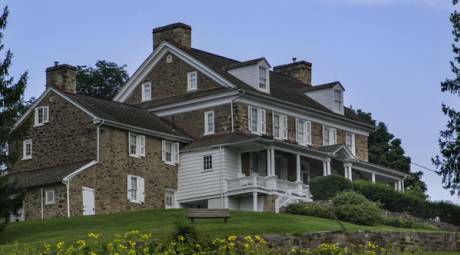 The Valley Forge and Montgomery County area has a rich historical background, with buildings and locales that tell the story of our nation's past. If you're looking to add a little 18th century flair to your big day, consider saying your vows at one of our top historical wedding venues. Wooden beams, original stone walls and wrought iron chandeliers give Barn on Bridge in Collegeville a classic country-chic ambiance. 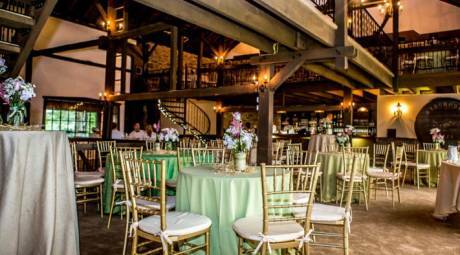 Once a 1700s dairy farm, the venue combines old-fashioned charm with updated modern amenities. 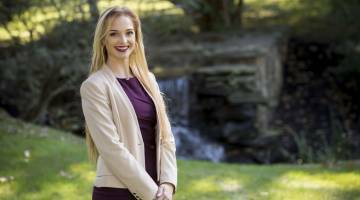 Cairnwood Estate in Bryn Athyn Historic District hosted its first marriage celebration in 1896 and has been keeping with tradition ever since. Exquisite architecture surrounded by rolling greenery give Cairnwood Estate a signature French chateau feel, perfect for a reception after a ceremony at Bryn Athyn Cathedral. 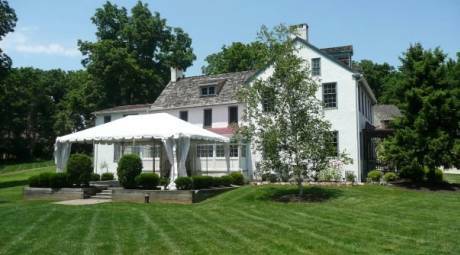 The first American home of ornithologist, artist and naturalist John James Audubon, the John James Audubon Center at Mill Grove is a prominent rustic wedding venue. The land features an apple orchard, a 19th century field stone barn and an outdoor pavilion. Normandy Farm began life as a working farm in the 19th century. Today, the land and buildings have been transformed into a modern hotel and event space while maintaining a rustic charm. 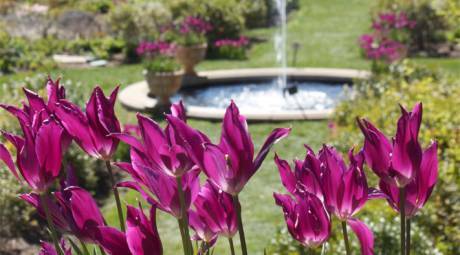 For weddings, Normandy offers three venues in one, plus an in-house florist and photographer. The Highlands features a late Georgian mansion and two-acre formal garden enclosed by massive stone walls. This excellent example of early 20th-century estate gardening and historic architecture includes nine outbuildings on the 44-acre estate. 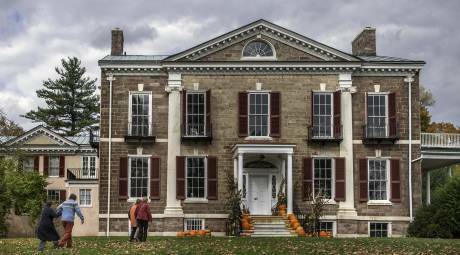 Completed in 1796, the mansion features fifteen foot ceilings and bright spacious rooms in addition to the formal garden and the ambiance of the surrounding estate. The Philander Chase Knox Estate, located within Valley Forge National Historical Park, was built in the late 1700s to serve as the summer home of former U.S. Attorney General, U.S. Secretary of State and U.S. Senator Philander Chase Knox. 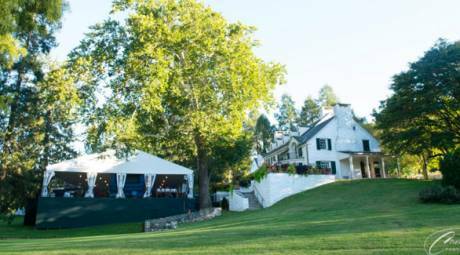 The estate has since become a prime wedding venue, surrounded by 3,500 acres of rustic meadows and greenery. Read more about the transformation in our blog. 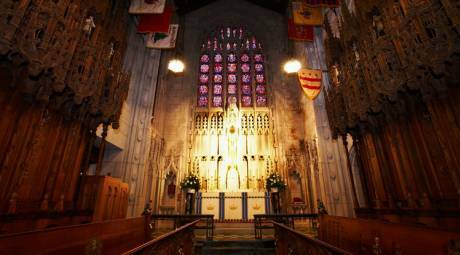 Colorful stained glass light and beautifully carved wooden pews give the Washington Memorial Chapel its signature feel. Built in the early 1900s and situated in Valley Forge National Historical Park, the chapel serves as a National Memorial to Washington and welcomes visitors from around the world. 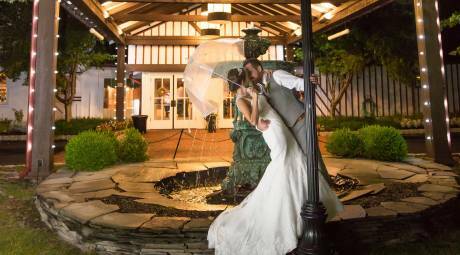 Formerly the Reading Railroad passenger station, Columbia Station in Phoenixville offers a vintage-inspired, intimate locale for a marriage celebration. 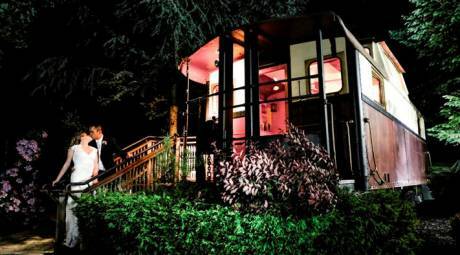 The bridal suite, housed in an antique caboose, gives an extra touch of luxury to the big day. 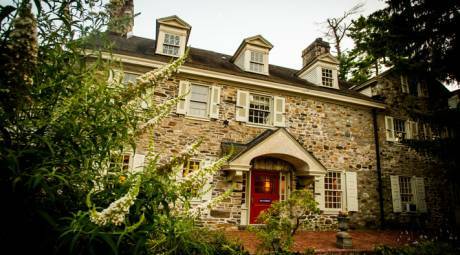 The DuPortail House in Chesterbrook, which served as a host to General Louis Lebegue Duportail during the Continental Army's encampment at Valley Forge, offers an enchanting stone farmhouse space. The country gazebo and scenic grounds add a charming, rustic ambiance to any event. 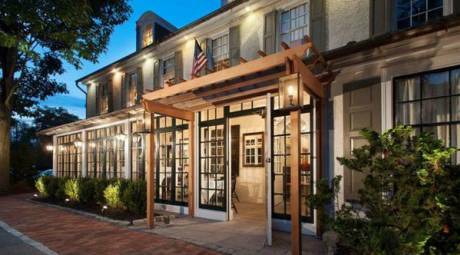 Established in 1745, the Historic General Warren in Malvern boasts 18th century charm and modern American cuisine. Overnight suites are available, removing the added hassle of transportation after the reception. Formerly known as "Compton," the summer home of John and Lydia Morris in 1887, Morris Arboretum of the University of Pennsylvania is an exceptional venue for a marriage ceremony. Say your vows among the towering trees, sip cocktails in the lush rose garden, and finish the evening in the carriage house and tented area. 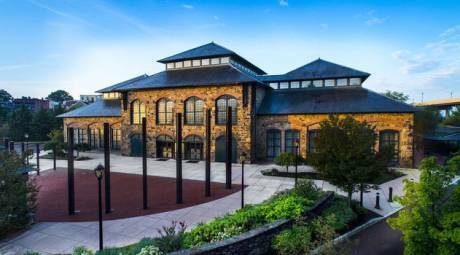 Constructed in 1882 as the foundry of Phoenix Iron & Steel Company, Phoenixville Foundry has since been transformed into a spacious, chic wedding venue. The building's past lends to its modern industrial décor, with original pieces of factory materials preserved throughout the space. From the breathtaking Rotunda in St. Joseph Hall to the elegant and serene estate at SugarLoaf Hill, Chestnut Hill College offers distinctive venues for your memorable day. 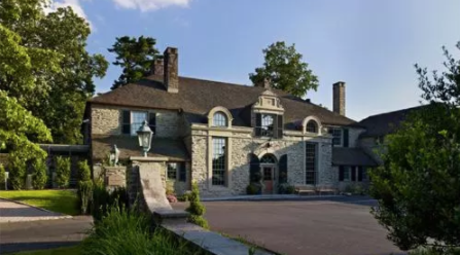 Located 15 miles from where America declared its independence, the 18th century Bolingbroke Mansion in Radnor provides guests with ample celebration space. Aside from the elegant indoor area, Bolingbroke also boasts secluded gardens and a picturesque outdoor terrace. Overlooking Valley Forge National Historical Park is the Freedoms Foundation at Valley Forge, conceived in 1949 with the active support of General Dwight D. Eisenhower. The building holds a small, quaint chapel and a classic ballroom surrounded by windows for the perfect park view. Feeling overwhelmed? Our complimentary wedding concierge is here to help. Just tell us a little about your wedding and she will get to work finding the right partners to fit your needs. It's that easy!